I am Nico Goradesky, I’m 30 and I’ve been working as a bartender for the last 10 years. I started working as a chef when I was quite young and during an internship in Corsica I had the opportunity to work behind the bar and fell in love with it. Luckily when I graduated my parents bought a cocktails/tapas place in St Raphael, so for 5 years I worked with them, managing the bar. It is thanks to my parents I am the bartender I am today as they let me make and try what I wanted. I met other bartenders in the south of France before moving to Lausanne in Switzerland, then to Brussels and Hong Kong. 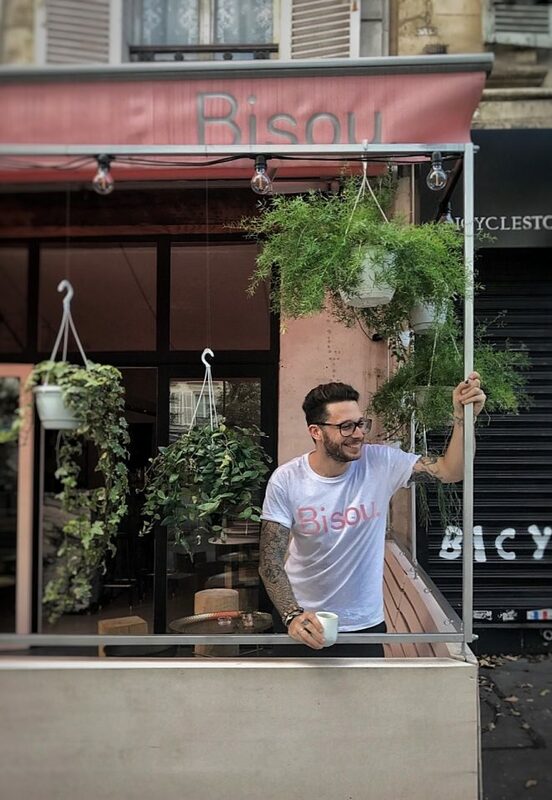 When I came back to France, the brand ambassador for Bacardi introduced me to Nico from Bespoke where I worked before he asked me to work in his new bar project, Bisou last summer. My dream bar would be in Hong Kong, because the bartending culture there is a great mix between London and Japan with an international audience who love to drink cocktails. I’d like a smaller bar with around 60 seats and the design would be parisian style, with the menu focussing on classic cocktails. It would be a bar that opens onto the street, like Copperbay in Paris with a big window and long back bar where you can see all the bottles like we have here in Bisou. Rum is my first love to drink and work with. I Like amber rum when it matures or agricol rum with the sugar cane flavour. Right now I am a big fan of Plantation Pineapple. The customer who will drink it. You have to listen to the client and understand what they want. Here at Bisou we have no menu, so we have to ask the client to describe what they want and now the french audience has more maturity so is able to do that. It’s really good for creativity. Fino Sherry and recently I discovered the Fino Manhattan which is low proof, so you use more sherry instead of vermouth. It’s a good ingredient to work with in drinks. Go to visit Sara at Little Red door in Paris and in Hong Kong ask for Mario the bar manager at Honi Honi, they do great tiki cocktails.